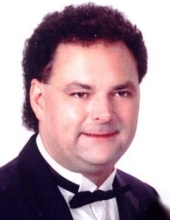 Paul Stephen Hartley, age 54, passed away April 12, 2019. Beloved son of Wayne and the late Jeanne Hartley; loving father of Olivia, Sean and Luke; cherished brother of John and James; dear uncle of Nicole Hartley. "Email Address" would like to share the life celebration of Paul Stephen Hartley. Click on the "link" to go to share a favorite memory or leave a condolence message for the family.